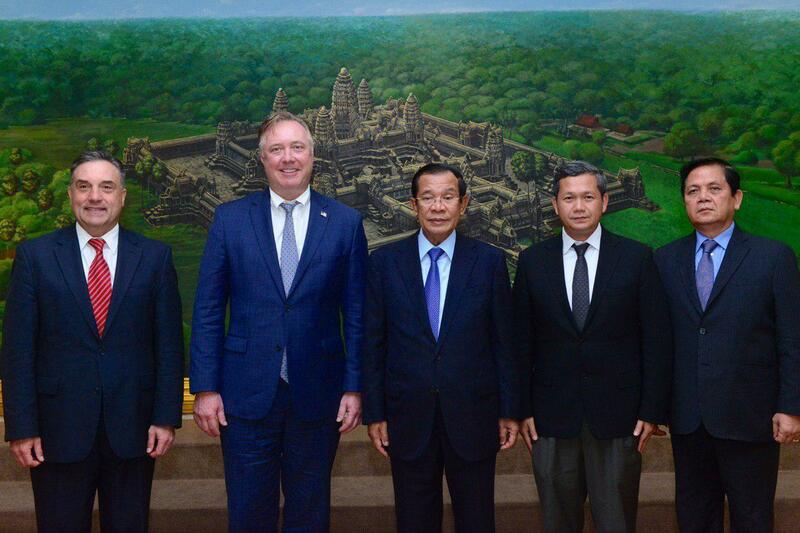 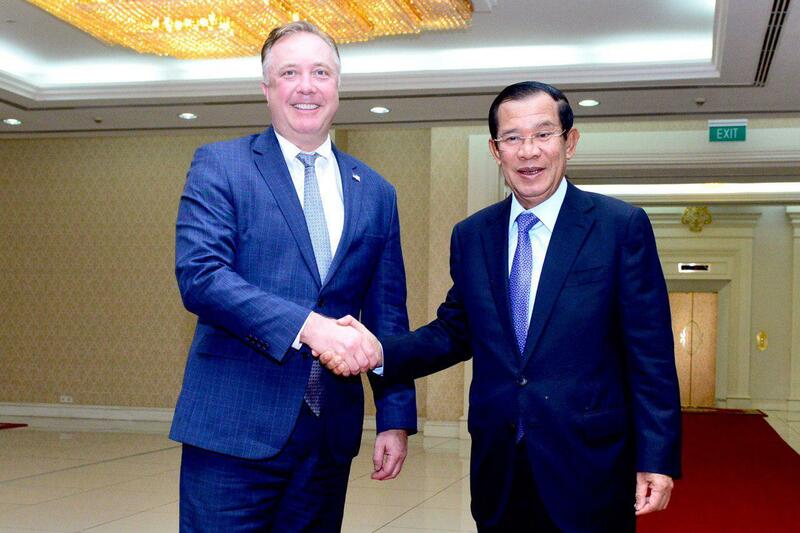 Phnom Penh (FN), March 22 – US Senator Doug Ericksen of the Republican in Washington State highly commended the rapid development of Cambodia under the roof of peace and stability. 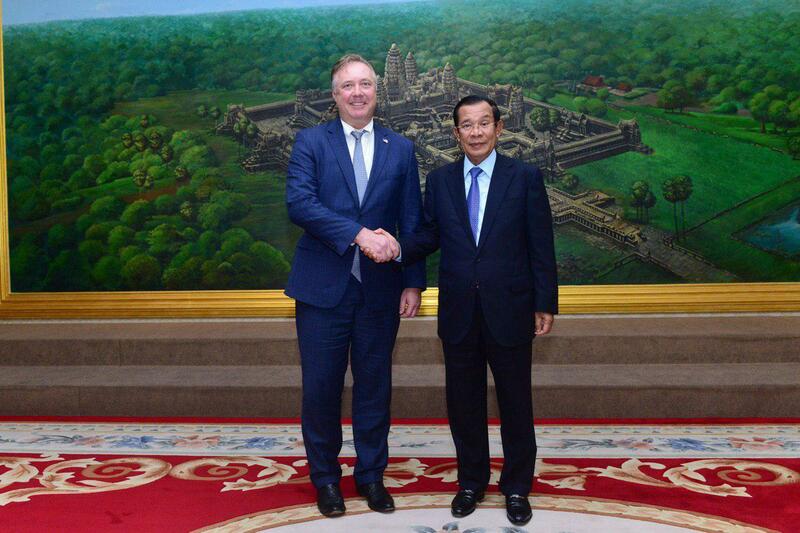 Senator Doug expressed commitment to strengthen Cambodia-US relations, speaking in a courtesy call on Cambodian Prime Minister Hun Sen on Friday at Phnom Penh’s Peace Palace. 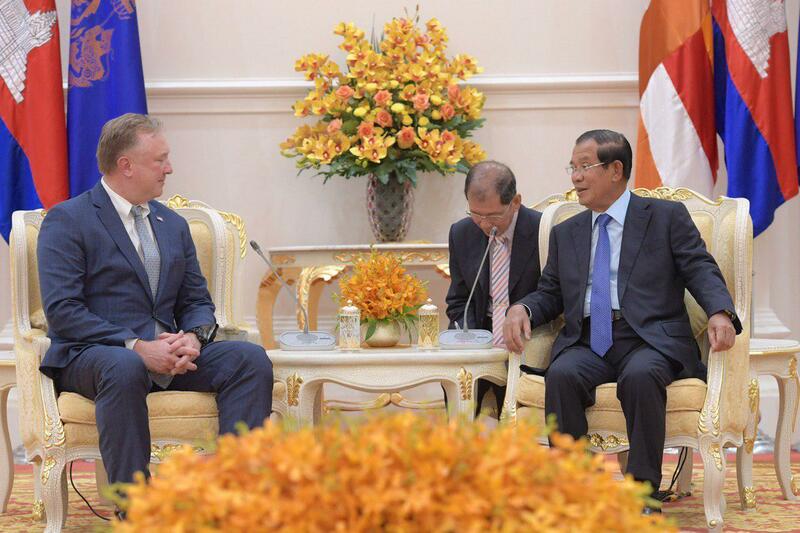 Senator Doug, in his previous visit in late May, stated that no countries in the world could order Cambodia to do anything. 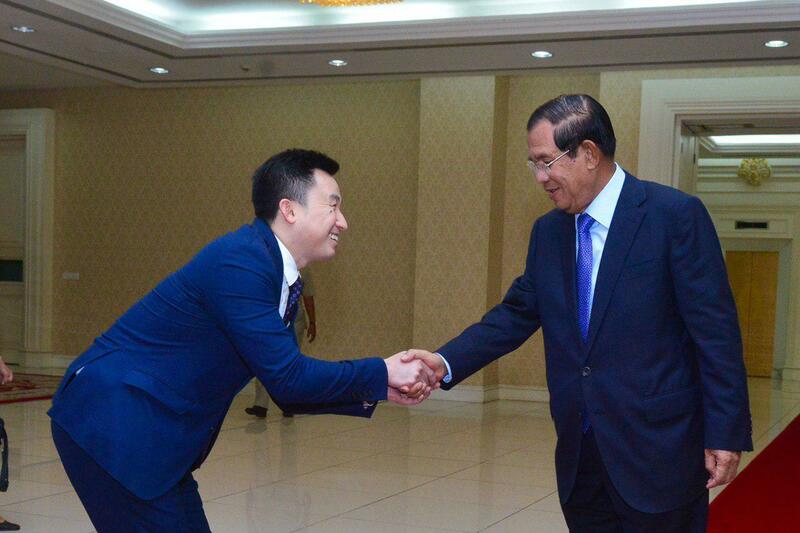 As a sovereign state, Cambodia chooses her own path and determines the destiny for the nation and her people. 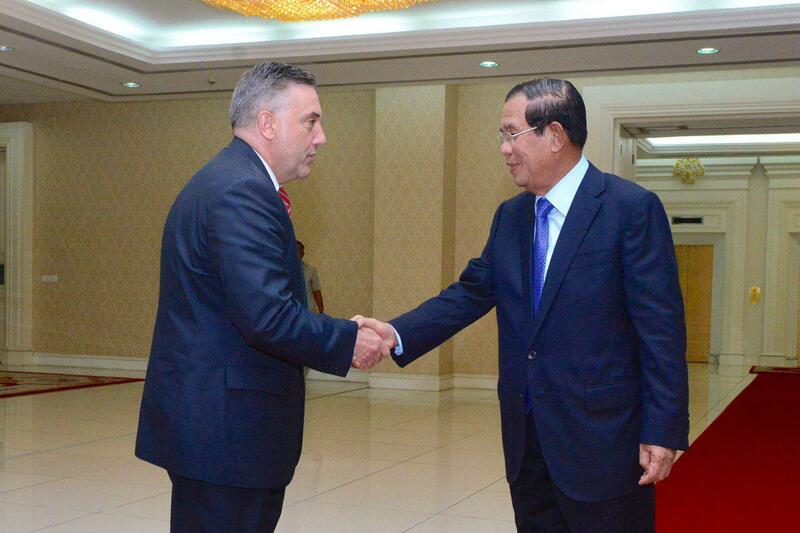 Prime Minister Hun Sen thanked Doug for speaking the truth of Cambodia. 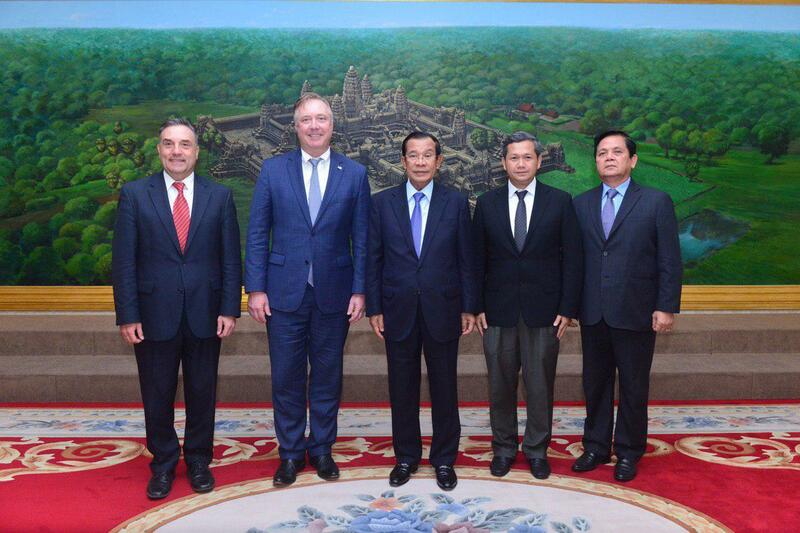 He reiterated the Royal Government’s commitment to continue the cooperation with the US in the search for remains of American soldiers based on humanitarian and human rights grounds, particularly the sentiments of victims' families.